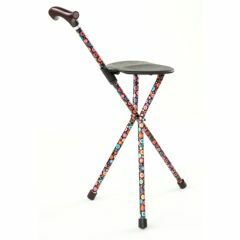 AllegroMedical.com presents The Switch Sticks Seat Sticks Mobility Cane. The seat stick is a versatile mobility aid that provides the user with a walking stick for support and a seat for resting. Ideal for attending a sporting event, concert or simply resting your legs after a long walk. The Bubbles design highlights a classic black tone with a variety of color accents that 'pop' to match any outfit. 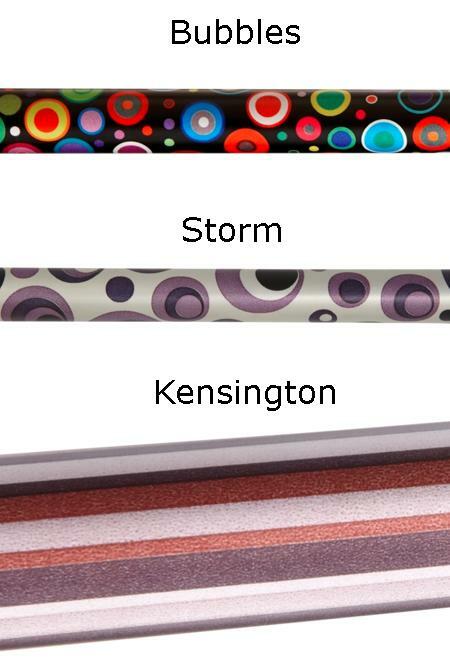 With its classic preppy feel, Kensington features different tones of brown stripes to show off your sophisticated look. The Storm walking stick uses black and gray colors to create a bold modern look.